Pipe Bending Controller are used in various applications such as furniture, two wheeler accessories, decorative items, automotive seat frames, hydraulic piping and many others. The offered machine is well-checked by our quality supervisors on various factors to guarantee its superiority. Our ranges of products are highly valued among various clients for its reasonable range and for its features like compactness, higher efficiency & sturdy design. These can also be made as per the given specification of our esteemed clients. Modular Construction expandable to requirement. 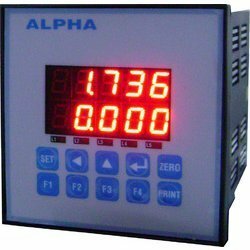 120-270 VAC, 50 HZ +/-5%, 80 VA.
We are engaged in contributing a greater choice of Weighing Controllers to our consumers as per their obligation. These are manufactured using superior grade material and inventive equipment. 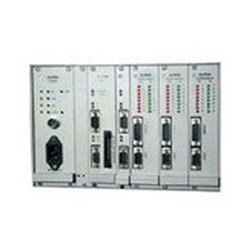 These are hugely used in various tenders such as batching or blending, check weighing, filling or dispensing, rate control and rate monitoring, which help in eliminating the effects of vibration on the weight signal and allow electronic adjustment of the weighing system, for system diagnostics and troubleshooting. The weighing system within a preset auto zero tolerance. 230V AC +/- 10%, 50HZ +/- 5%, 10VA.